Iran’s top diplomat has once again argued for Tehran’s adoption of standards set by the global anti-money laundering body, saying concerns that FATF accession harms national security interests are baseless and Iran’s failure to get itself out FATF blacklist would mean Tehran has shot itself in the leg. Speaking in an interview with the state radio on Saturday, Mohammad Javad Zarif said the Supreme National Security Council has thoroughly examined the four bills proposed by the government to meet conditions set by the Financial Action Task Force (FATF) to get the country out of the body’s black list. The SNSC has reached the conclusion that the process is harmless, Zarif noted. His defence came as Iran’s adoption of standards set by the G7-created FATF has faced real obstacles in recent months, mainly over concerns among some officials that the move could endanger Iran’s national security interests. Out of the four bills, only the first one has so far went into effect and the fate of other three is in limbo. Last Sunday, the Guardian Council spokesman Abbas-Ali Kadkhodaei said the body had found “flaws and ambiguities” in the Combating the Financing of Terrorism (CFT) bill, which is the most important one of the three. Two other bills, one on Iran’s accession to the United Nations Convention against Transnational Organized Crime, also known as Palermo Convention, and another on amending the country’s anti-money laundering law, have also been found to be problematic by the GC and the Expediency Council. Meanwhile, the fourth bill, an amendment to the country’s law against financing terrorism, was approved by the Parliament and the Guardian Council, and signed into law by President Hassan Rouhani earlier this year. 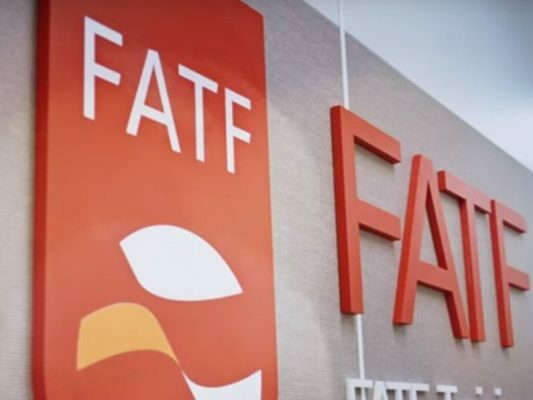 Proponents of the FATF accession say the measure would smooth the path for Iran’s increased financial transactions with the world. Zarif said it is essential for Iran to meet FATF conditions, as Tehran needs to restore banking connections with the outside world at a time when the US seeks to bully Iran and isolate the country. “We should not add to our problems, when Americans are working to create obstacles,” he said, citing an old Persian saying which says one should not commit suicide for the fear that he might be killed. Asked about arguments that joining the FATF would make the country vulnerable to outside meddling and expose various institutions to terrorism accusations and extraterritorial penalties, Zarif said the US is not responsible for determining instances of terrorism under FATF. Zarif said the FATF sees the UN Security Council as the sole body in charge of determining terrorist groups, and it is highly unlikely that the body declares Iran’s military forces and allied groups as terrorists. “This won’t be a possibility if we work at the international level. On the other hand, we have no restrictions on exiting international conventions,” he added. This is while the spokesman for the Guardian Council, the legislative watchdog, repeated on Saturday that he believes Iran won’t be able to join the CFT convention. “Our assumption is that the bill is irrevocable and that’s why it is against national interests,” Kadkhodaei said in a regular presser in Tehran on Saturday. 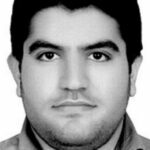 The FATF announced last month once again it extends the deadline for Iran to complete reforms to meet conditions for getting out of the body’s black list until February.